Are you wondering how much a new boiler costs in 2019? Are you looking for a boiler replacement but wondering what the price of a new boiler will be? Then look no further. We’ve designed this guide to help you to understand the basic costs involved in purchasing different types of gas boilers. We’ll walk you through all the important areas that impact your choices when looking for a new boiler; not just the initial outlay but also maintenance and operating costs. When buying a new boiler, you might be tempted to cut corners and save some money. This is false economy. Always use a Gas Safe registered installer for any boiler replacement work, this will ensure your warranty is valid. If you have the option of a longer warranty period, please note that many warranties require an annual service to remain valid. Carefully consider which brand you purchase as performance and reliability can vary dramatically by brand. While it may seem logical to buy a budget brand and hedge your bets, it could affect you negatively. New boiler costs for budget ranges often reflect the shorter warranty period and lack legacy support for spare parts. There are pros and cons to buying a new boiler which we’ll take a look at in the next section, to help you decide which boiler is most suitable for your needs. Your best solution is to speak with a Gas Safe registered installer who will be able to guide you. Installation engineers work with boilers every day, so when it’s time to upgrade your boiler talk to them about what’s most important to you, for example: Greater energy efficiency and lower running costs, more hot water or the ability to run two hot water taps at the same time. A combination boiler not only provides heated water for your central heating system but it also gives hot water on demand. If you are replacing like for like then the combination boiler itself is more expensive but fitting costs are lower. Likewise If you are fitting a new heating system to a property then the overall costs to fit a combi boiler would be lower than fitting a conventional boiler. Let’s take a look at the available options using a mid-ranged combination boiler as reference. If the new combi boiler costs £700 and the installation costs are £700 then the total installed price will be £1,400. However if your system is old then it may require a powerflush to remove any sludge that has built up. This then increases the cost of a new combination boiler up to £1,900. As you’d expect, a larger boiler is more expensive. Then add in the costs of the installation and additional work to reconfigure the pipework. Suddenly the cost jumps up to £3,000, which is significantly higher than the average boiler installation cost. A conventional boiler doesn’t heat water on demand like a combi boiler does. Instead, water is preheated and stored in a water cylinder or tank until needed. Conventional boilers are typically found in older homes that already have a traditional heating and hot water system. Typically, if you already have one fitted, your conventional boiler replacement should cost between £1,500 and £2,500. If you are replacing your combi boiler or have no boiler fitted, then the new boiler costs go up. This is because you’ll require a hot water cylinder and cold-water storage tank fitted in your loft. As a rule of thumb, you should expect to pay £2,200 - £3,400 to replace a combi boiler and £2,500 - £3,700 for a new install. A third option is to fit a system boiler. 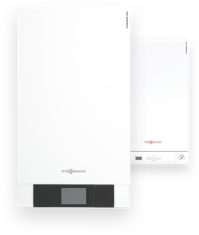 These are a hybrid between a combi boiler and a conventional boiler. The system boiler operates like a regular boiler in that it heats and stores hot water in a cylinder but without a cold tank in the loft. System boilers are in effect, the modern replacement for regular boilers; where you get to keep your hot water cylinder and therefore have greater hot water comfort and higher flow rates for baths and showers. Because the boiler unit is a single unit, you don’t need to pay for a cold water tank in your loft. If you already have a boiler fitted then your boiler replacement should cost between £1,600 and £3,000. If you are replacing your boiler, then the new boiler costs will be less if you chose a system boiler over a conventional boiler. This is because you won’t need to fit a cold-water storage tank in your loft. As a rule of thumb, you should expect to pay £2,000 - £3,500 for a new install. We always advise people to ask for three independent quotes when looking to purchase a boiler. It’s an investment for the future that could payback well with the right purchase decision, and there are a number of factors to consider. Year on year you’ll enjoy not only the comfort of a warm home, but you’ll begin to offset your new boiler costs by saving energy costs. If you’re looking to purchase an economy boiler, expect an efficiency of around 89% which will reduce your cost savings by approximately 5%. Premium products comes with the additional piece of mind that is reflected in the boiler price, with some companies offering up to 10 year warranty when fitted with a partnered installer. If the boiler is at fault, you’ll often pay no excess. For budget boilers warranties are typically 5-7 years and there could be a call out charge. Please note, most boilers require an annual service to maintain warranty validity. As you would imagine premium products are made to last. Manufacturers using high quality components such as stainless steel heat exchangers have a higher confidence in the lifetime expectancy of the product, usually resulting in longer manufacturer warranties. While the overall cost of a budget boiler may look attractive in comparison to a premium product, do not overlook lifetime value. Many companies now offer 0% finance on your new boiler costs, so you can save £1,000s with a little forward thinking.